As the summer months on the coast of Maine begin in earnest, we now begin the transition from the end of one school year into the next. In an effort to keep you informed of several important notices and reminders through the summer, we present this abbreviated June newsletter for our families to assist in planning. We will reach out again in July and August with further updates in preparation for the 2018-2019 school year. May you all enjoy some wonderful rest and relaxation over the coming months! Final report cards and teacher comments for the 2017 – 2018 school year were released to families on Friday, June 8. All student account balances must be paid in full before the school can release report cards. Please contact the Business Office with any questions (847-5425). Congratulations to all of our students on their successes and hard work all year! During the summer, administrative office hours are 9:00 a.m. to 3:00 p.m. Monday through Thursday and 9:00 a.m. to 12:00 p.m. on Fridays. In addition to admission activity, we are preparing for the upcoming school year. We will continue to send information and updates via email throughout the summer. If you have any questions in the meantime, feel free to call or stop by school. All student schedules will be constructed in our database through the month of June and released to students in July, at which time the purchase of textbooks can be made through our virtual online textbook store. More information about this process will be sent together with the student schedules in July. All students are expected to complete their Summer Assignments by the first day of school. The book lists for all English classes are posted on the NYA website. In addition, all students taking a language course and students in certain AP courses will have summer work. Furthermore, all freshmen and sophomores will be taking physics in the fall and will have a summer assignment. 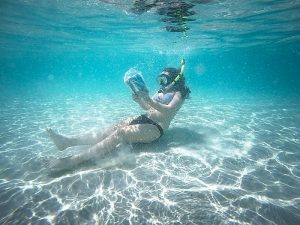 All summer assignments are also available on NYA’s homepage under the ‘Students’ tab at the top of the page. You may be just embarking on your summer adventures, but at NYA the new school year has already begun! With focus turning to the 2018-2019 academic year, it is a good time to check your contact information in our database and make sure what we have is up to date. It’s easy – use the Custodial Parent/Guardian Information Form in Family Web to correct your address, email, and phone numbers, and to select directory and Parent Alert text preferences. Instructions on accessing this form can be found in Technology from the drop-down menu under the ‘Parents’ tab at the top of NYA’s homepage. Information for new families on setting up a Family Web account can also be found here. The NYA Parents’ Association will once again operate an ice cream booth at the Yarmouth Clam Festival. Laura Bergeron is leading this effort, and she is looking for volunteers to help in the booth. 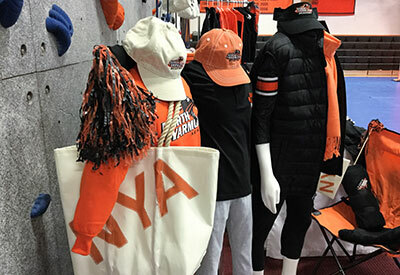 It is a great way to stay connected with or meet new friends, teachers, and coaches at NYA during the summer. It is also a lot of fun! Our booth is in the middle of the action – just in front of Curtis Building. Sign up today to help out on July 20 – 22 and get a free ice cream cone! What a great deal! NYA is also sponsoring the Clam Festival’s Diaper Derby again this summer. We are looking for volunteers to help with this really fun event that takes place on Sunday, July 22 from 12:00 to 1:00 p.m. Here is a link to the sign-up sheet. We are looking for parents, students, teachers, staff, and friends to help out! Thanks! Laurie Hegarty has a new order of Sea Bags in, and she’s happy to deliver! She also has lots of hats, shorts, tees, and pop up chairs. 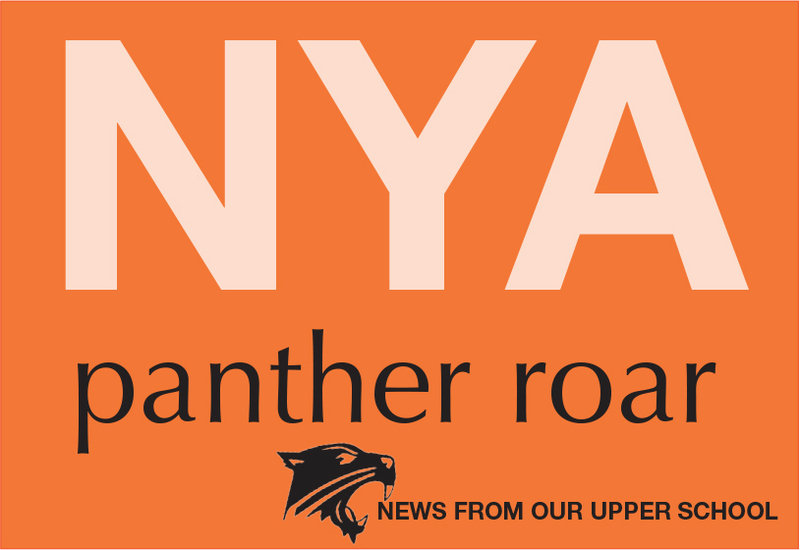 She accepts cash or checks payable to the NYA Parents’ Association. For information or to place an order, contact Laurie (207-420-7171). 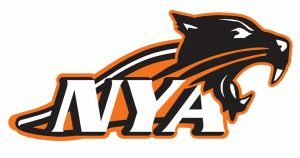 NYA’s Bring Your Own Device (BYOD) program, which allows students to utilize the technology of their preference, will be expanded to include grades 7-12 for the 2018-2019 school year. A laptop or tablet with a keyboard, an up-to-date web browser, and a decent battery life will work effectively. Students may wish to have headphones to utilize with certain assignments as well. 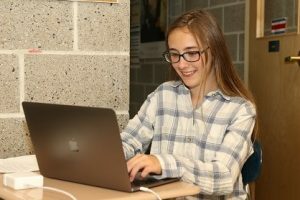 The BYOD pilot program in grades 8 and 10 was very successful this year, and we look forward to implementing it across the grades. June 15 was the deadline for several forms required for the 2018-2019 school year, including health forms and off-campus travel and athletic participation release forms. All forms and instructions can be found at Returning Family Forms and New Family Forms on our website. If you are a returning family with a child joining NYA for the first time, please be sure to visit the New Family Forms page for that child. You can also reach these forms from the drop-down menu under the ‘Parents’ tab on NYA’s homepage. If you have not yet completed these forms, please do so as soon as possible. We will be unable to complete preparations for your child for the new school year until these forms are complete. Thank you for your assistance. Please mark your calendars now for Monday, August 13, when fall preseason practices get underway. See the preliminary schedule here. These are geared toward physical conditioning, skill development, and both tactical and game strategy. All Upper School students who are participating in a fall sport are required to attend preseason. Please contact Jack Hardy, Athletic Director, with any questions. All new students entering grades 9 through 12 need to complete the Upper School afternoon activity questionnaire to indicate their selections for afternoon activities for each season. Please contact Jack Hardy with any questions. 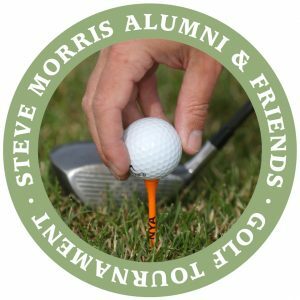 NYA’s annual Steve Morris Alumni & Friends Golf Tournament typically takes place the second week of June, bringing together past and present friends of NYA. The tournament is in honor of long time, beloved NYA coach and teacher, Steve “Mo” Morris. Steve was at NYA for 30 years until he died of cancer in 2002. Each year, dozens of alums join with our families to recognize Steve. In his honor, a scholarship was established, and it is awarded to a girl and boy in grades 9-12. This year, the tournament will be held in conjunction with a revamped homecoming and reunion weekend, on September 29, 2018 at Falmouth Country Club with a shotgun start at 1:00 p.m. Please mark your calendars. 8/27 New Middle and Upper School Student Orientation, MSCR 9:30-11:30 a.m.
8/27 Freshman Orientation 11:45 a.m. – 3:30 p.m.